Figure 7. DA Form 11-237.
third echelon maintenance, by the individual making the inspection. Figure 6. 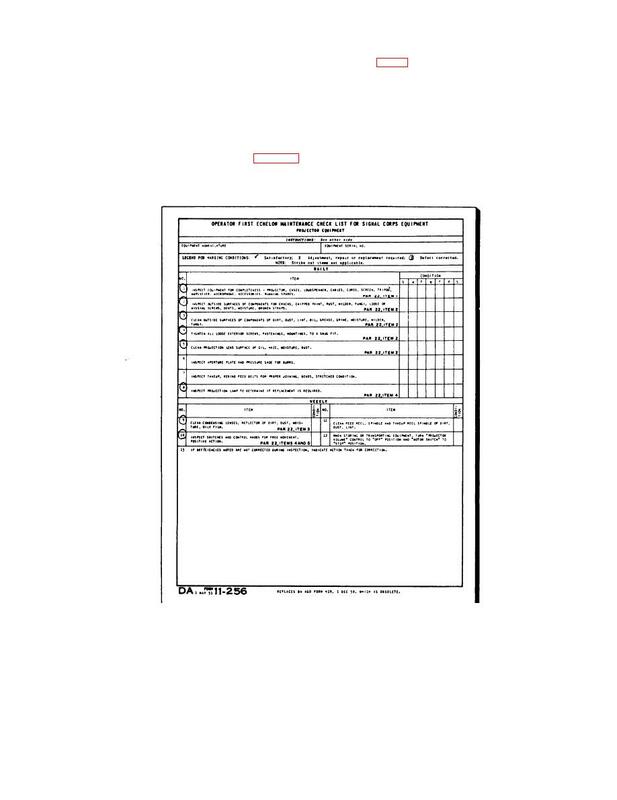 DA Form 11-256.